The seventh annual Tales of the Cocktail begins today in New Orleans, Louisiana. Tales, as many of us call it, is a five day convention of top mixologists, bartenders, chefs, cocktail bloggers, and drinks aficionados. 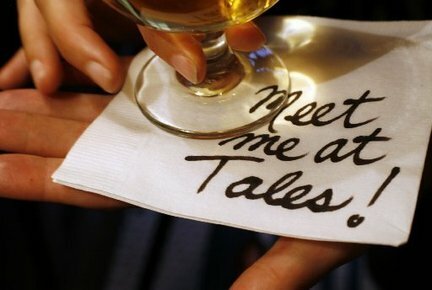 Tales is not just for industry folks either, it is like a Star trek convention for cocktail geeks! The event which began in 2003 is the brain child of Anne Tuennerman, a marketing and promotions guru who turned her love of well crafted cocktails into the premier mixology event in the world. Loungerati is dispatching resident cocktailian, Fredo to the Big Easy for the event. Though not an official Tales Blogger, Fredo will be reporting on the various seminars, cocktail tastings, spirited dinners, and of course the competitions and Spirited Awards winners. This will be Fredo's first Tales adventure. Rumor also has it that professional lounger The Senator, Loungerati's man in Kansas City may be making an appearance. Should Senator indeed appear like an apparition in the night, say at Old Absinthe Bar around 11pm on Thursday night, one can count on another legendary lost weekend in the gutter! Next stop the Carousel Bar, VIP happy hour at the famous Hotel Monteleone for a few Sazeracs! Follow Loungerati at Tales on Twitter.